Massive capacity — 50L is HUGE! Tons of space for everything. Kinda uncomfortable — if you pack it out really full it’s not the most comfortable bag. When it’s not too heavy, it’s totally fine. No laptop pocket — adds a little hassle to TSA security. Weather proof — fabric and zips are excellent at handling weather and keeping your gear dry. Tons of handles and lash points — grip it, rip it, clip it. 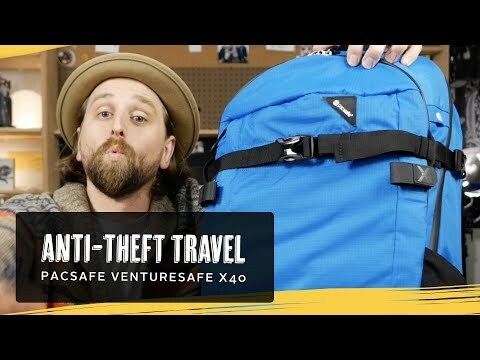 The Venturesafe X40 from Pacsafe is a multi-purpose 40L backpack with a ton anti-theft features. Is this just, like the most quality built affordable carry-on travel backpack? It just might be.